A slice of Pi for everyone! Finally, some movement on the Raspberry Pi front. I am proud to have been part of this initial launch. There are so many possibilities for this product out there, especially in the education market. We have only just seen the beginning…. just imagine what people will be able to do with a $35 computer! Coming from an IT background in the medical field and dealing with HIPAA compliancy issues, I was recently asked about my experience with Sarbanes-Oxley (SOX) regulations and how the two relate. I had never really put the two side by side and quickly did an analytical comparison. I started to think about the broad scope and spectrum of the two areas and wanted to share my thoughts with you on this. In a nutshell, SOX defines which business records that an organization or a company must store and it also dictates how long those records must be stored. 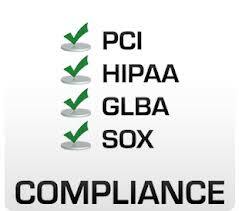 HIPAA, however, breaks down who can view these stored documents and/or records and when the data must be destroyed. In regards to SOX, an interesting comparison I found explains that “The SEC doesn’t care if you leak the information, you just can’t modify it.” With database administration it is very important that your data doesn’t get inserted, updated or deleted without somebody knowing about it and having a paper trail or an audit trail to prove everything (event log manager). On the other side of that coin, HIPAA is mostly concerned about the leaking of that data and the privacy that goes along with it. Both regulations requires an IT department to lock down their database servers (and all areas of IT, for that matter) so that it is a secure environment with no points of rogue entry. In the past I have used a couple of software tools that will actually dig deep into the system Oracle or SQL databases (in addition to your servers / Active Directory) and audit settings, polices and procedures that would put you at risk for a bad situation and report deficiencies so that one can act on them. I also find it important that if you work in one of these highly regulated environments, it is in your best interest to perform these internal audits every couple of months to make sure you stay on top of your “A” game. Sharing these results and making recommendations with your shareholders and getting their input greatly puts their minds at ease and assures them that you are doing your job. An additional and yet very important area that one needs to concentrate on would be “change management” and the systems, policies and procedures that need to be in place to make this a reliable and secure part of your business operation. Secondly, if you live in a disaster prone area, you need to focus in on disaster recovery planning as you need to make sure your required stored documents are safe and secure no matter what event interrupts your workflow. All of this would be encompassed by your risk management plan and would be an area that would need constant monitoring. Make sure all the stakeholders are aware of the risks involved with not having a proper system in place and don’t be afraid to report on any deficiencies that you might find. This is a very large topic and obviously I have only given you a 30,000 foot view. Those of you who are making a transition between industries where these two regulations apply, hopefully this will give you a quick idea of items you need to start paying attention to and areas of concentration to prepare for you next audit. Recently, I was consulting for a company that was having some issues with their servers and seemed to be having a hard time staying ahead of the problem. I immediately noticed that they were being reactive instead of proactive in their strategies. Although they didn’t see this as an issue, I have always been a firm believer in being a “fire prevention specialist” instead of a “fire-fighter.” After all, who wants to constantly be putting out fires? It is stressful, unproductive and certainly unprofessional. After further examination, I realized that one of the root causes of their system failure was a monitoring system they had in place which was open source. A company that relies on critical systems and guaranteed up-time needs to have an effective, reliable system in place to do the job. When it comes to cost, this is an area that one should not be cutting corners. I think the 30,000 foot view of this situation exposed the fact that they were not doing proper risk management which would have helped to identify the root cause of the situation. This morning I got up and saw a brief intro for a story that will air on CNN this Sunday. 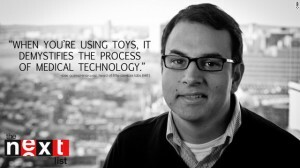 This concept is exactly what I am trying to do over at AT-Needs.com only Mr. Gomez-Marquez’s mission is in the area of low cost, DIY medical devices. I am very impressed with their initiative, but then again, it is MIT! 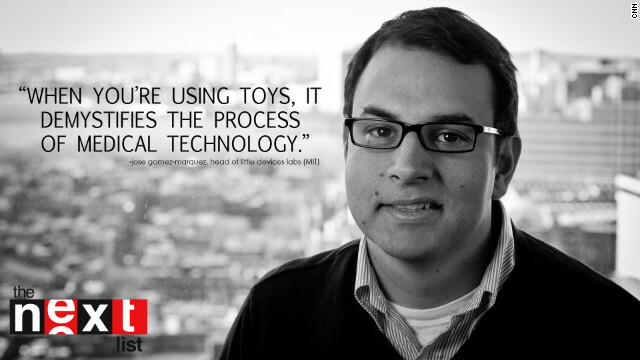 Jose Gomez-Marquez is the Program Director for Innovations in International Health at MIT and heads up the Little Devices group, where he uses toy parts to create inexpensive medical devices for developing countries. You must go check this out… here is the CNN web page that contains the story. This is being developed through the “Little Devices Group” at MIT. And last but not least, the Little Devices Network is a proud member of the Innovations in International Health. The Innovations in International Health innovation platform aims to accelerate the development of global health technologies in a multidisciplinary research environment addressing the needs of patients and physicians in resource-poor settings. Really, really, really (really!) exciting stuff and I hope to become involved with some of their projects and concepts. I would like for them to extend their concept into areas which I have passions for, which is assistive technology. Stay tuned here as I have been recently inspired to create new things and make big differences in people’s lives! Today I am proud to announce that we have launched a new website dedicated to “do-it-yourself” assistive technology community. The new location is: www.AT-Needs.com This new website is intended to be a resource for anybody looking for do-it-yourself resources for assistive technology. We are looking for your ideas, your challenges, your solutions and your expertise. Our goal is to create a community of individuals with real problems and a strong community of experts to help solve these problems. The main section of this website can be found in our Community Forum. 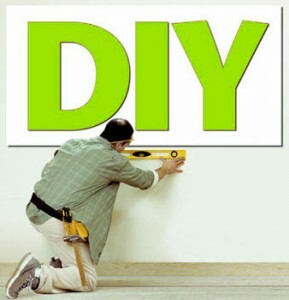 While most people would consider D.I.Y. 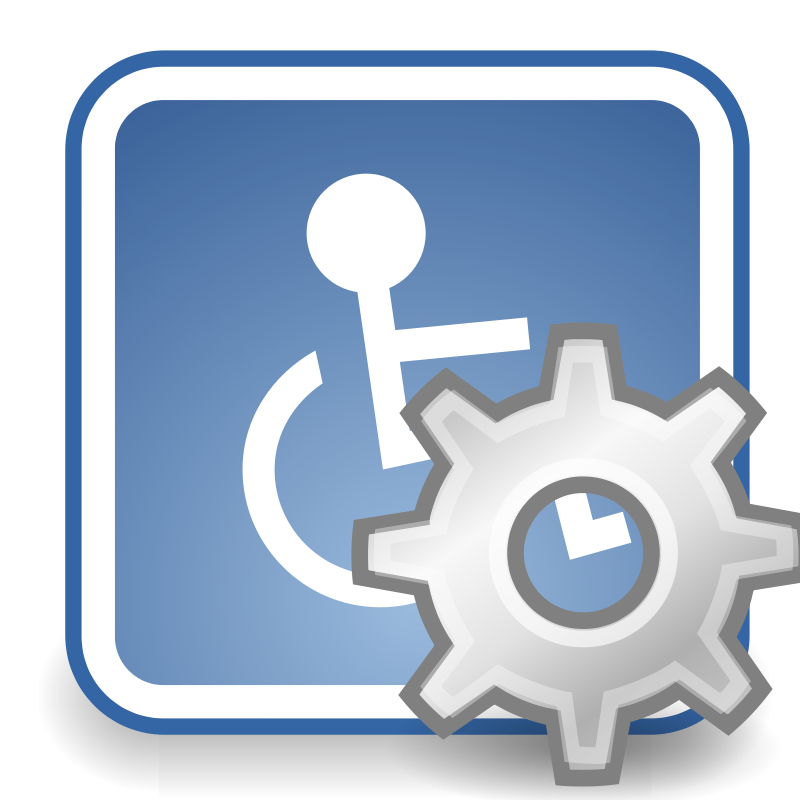 (Do It Yourself) projects an economical solution to an issue, when it comes to assistive technology it might be out of necessity because the solution to your problem does not conform your particular need OR does not exist at all! We have a wide variety of project that are completed and in the works here at AT-Needs.com. Depending on our skill level, you just might be able to find a solution right here without going any further. Come explore and share. At the start of the new year I am finally going to launch the D.I.Y (Do It Yourself) Assistive Technology section of the website. This will be an exciting new area where we can all collaborate and find solutions for others that either don’t exist or that might be too costly to purchase. This sounds easier than it really is. No one person (especially me) has all the answers so I am calling on all of you to participate. This is the only way that it is going to work and become successful. Please drop me an email at skip@skipkimpel.com if you would like to be part of this movement and are interested in partaking in a life change opportunity. As soon as things get moving I will drop you an email as a reminder to come back and visit. I look forward to seeing you back here again soon! On Friday, October 1st, I will be speaking at the 6th Annual National Conference on Inclusion in San Diego, California. Kids Included Together’s 6th Annual National Conference on Inclusion will feature exciting new skill-building workshops given by practitioners in the field, passionate presentations featuring speakers and performers and opportunities to network with others who are interested in creating and sustaining inclusive programs. After the Bell Rings: Innovative Strategies for Including All Children in Out-of-School Time Programs will feature 20 break-out sessions for all levels of practitioner. Those new to inclusion will find a strand of building blocks designed to provide the tools necessary to get started. Staff working directly with children will gain practical techniques and fun new activities to implement immediately. Managers and directors will find workshops on new models, linkages with the school day and universal design. All will leave inspired and invigorated! The 2010 KIT conference will utilize a variety of technology tools to provide information, social networking and opportunities to extend the experience beyond the conference. In my general session, I will share new forms of assistive technology that are both available and easy to implement for out-of-school time programs. In my second session, “Social Media for Non-Profits / Fundraising 2.0,” attendees will come out of this session understanding what the basic tools are for social media and social networking. In addition, they will have an understanding on how to setup their own accounts within these platforms and how to utilize these tools for their non-profits and organizations. The second part of this session will explore and explain Fundraising 2.0 and how to utilize strategies for their organizations’ benefit. April 2 is U.N.-declared World Autism Awareness Day. A life touched by autism is one forever in search of new information, and answers to the questions “Why did this happen?” and “How can I help my child?” Here’s a brief wrap of some of the latest headlines about the mysterious neurological disorder, which affects as many as 1 in 110 children, according to the Centers for Disease Control and Prevention. As research indicates that the rates of autism are increasing and that about 1 percent of the children in the United States have the disorder, there is an increasing body of science looking into causes and contributing factors to the mysterious condition. Here are some major findings according to Autism Speaks, a leading advocacy and education organization. 1) Two major studies using different methodologies reached similar conclusions: autism is on the rise. Four years earlier, autism spectrum disorder was found to affect 1 out of 150 children, but more recent data suggest it’s closer to 1 in 91 or 1 in 110 children, depending on the study. Research also found that autism is four times more common in boys than girls. 2) Delivering early intervention programs for children with autism improved IQ, language skills and adaptive behavior even for those as young as 18 months. 3) An autism genome study found a genetic variation associated with the genes cadherin 10 and 9, which are responsible for forming nerve connections. This suggests abnormal interactions between neurons may cause the deficits seen in autism. 4) Researchers analyzed submicroscopic DNA deletions or duplications called copy number variants in the autism genome and found a new cellular pathway called “ubiquitin pathway,” in the pathology of autism. 5) A study demonstrated that combining drug and behavioral treatments were more effective than drug treatment alone for reducing challenging behaviors. Editor’s Note: Medical news is a popular but sensitive subject rooted in science. We receive many comments on this blog each day; not all are posted. Our hope is that much will be learned from the sharing of useful information and personal experiences based on the medical and health topics of the blog. We encourage you to focus your comments on those medical and health topics and we appreciate your input. Thank you for your participation. Latest on autism research – Paging Dr. Gupta – CNN.com Blogs. They have a full online catalog and I would highly suggest that you get one of their catalogs as well! 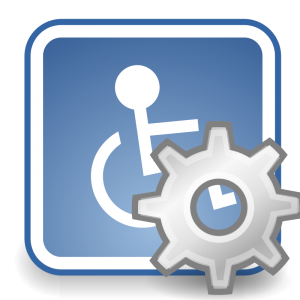 Web Link: Enabling Devices – Assistive Technology – Products for the Disabled. Unfollow Twitter users who do not follow you! Ever built up your Twitter list and found yourself at your “twitter threshold?” I have searched out many tools in the past and never found that “perfect” tool. In addition, not too long ago, Twitter changed their API so that you could not unfollow a large group of people! So, when I found this tool, I was quite happy. It will log into your Twitter account, find everybody that you follow that does not follow you and then YOU have the choice to unfollow the people you wish. Simple and straight to the point! !